White Supremacist Leader: Trump Is Just Our First Move Towards An All-White Ethno-State [VIDEO] - Joe.My.God. “I don’t think Donald Trump is me, I don’t think Donald Trump is alt-right. I don’t think Donald Trump is an identitarian as I would use that term. I think Donald Trump is a kind of first step towards this. He’s the first time that we’ve seen a genuinely if, you could say incomplete, politician who’s fighting for European identity politics in North America. This is the first time we’ve seen it. What the ethnostate is, is an ideal. It’s a thing, it’s a way of thinking about we want a new type of society that would actually be a homeland for all white people, all European people. So that would include Slavs, that would include Germans, that would include Latins, it who would include people of all ethnicities that we would always have a safe space. We would always have a homeland for us. 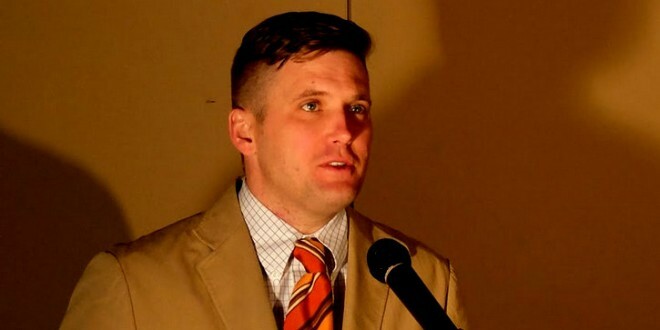 Very similar to how Jews conceive of Israel.” – White supremacist leader Richard Spencer, speaking to Reveal.